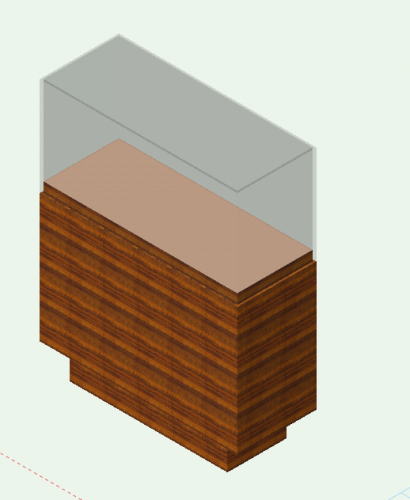 Creates a two-dimensional dovetail detail using the standard method for dovetail joints. Available in German and English. Both objects inside the file. Go easy on the sliders! I haven't had the time to build in the appropriate safety-nets. 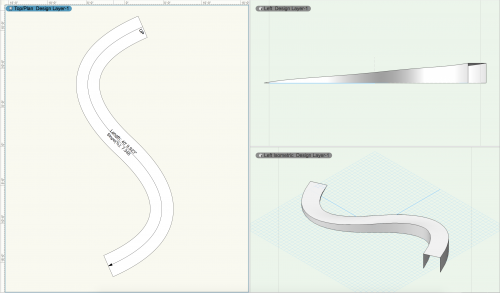 Lousy bit of Marionetteering on my part here but there have been a few requests from local users and it works pretty well if you don't overdo it with the dimensions. My First Run at creating new objects. I used the swivel CB object below for the start of what I made so thanks go to him. just Drag into your File and set the sliders in the OIP. 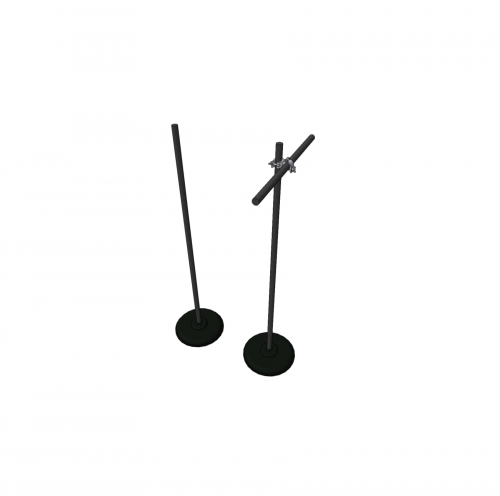 No need to keep different size TV symbols any more with this handy Marionette. The screen image is adjusted automatically to the size of the screen and standard screen sizes can be chosen from a popup-menu. I've been trying to learn a bit more about Marionette scripting. I made this adjustable swivel cheesborough as one of my 1st exercises. You can rotate each half of the symbol with 2 sliders in the OIP. It is a symbol in the resource browser, and converts into a Marionette object upon insertion. Hopefully you all find it useful! 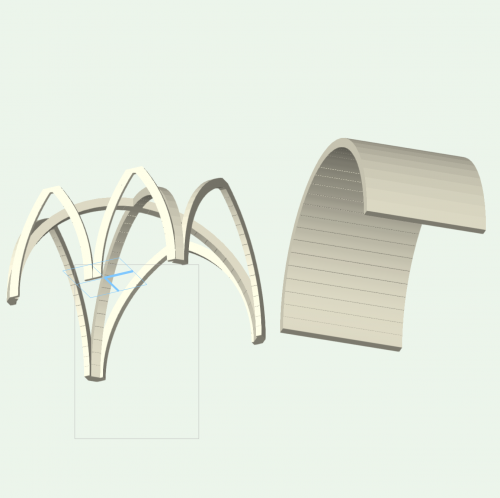 These are two NURBS surfaces used as sections for Loft construction. The result should look like an 90 degree elbow, with circular cross section at one end and an elongated oval of equal width as the diameter of the circle. 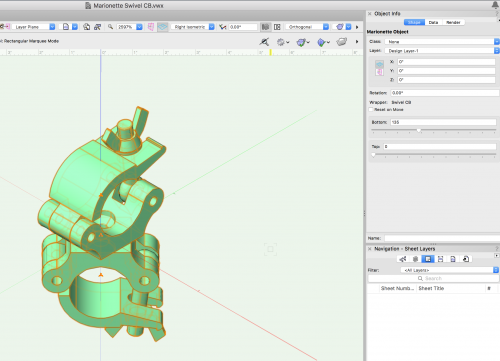 Here is a Marionette object that functions as a schematic Barn Door. It opens and closes with a slider and has separate 2D and 3D geometry. The wheel and hanger are a symbol, so if you wish to change their look you can edit the current symbol or create a new one. The insertion point of the symbol must be where the wheel touches the track. This Marionette-Wrapper explodes a group around the origin by a given factor. Here is another Marionette Object with articulation. 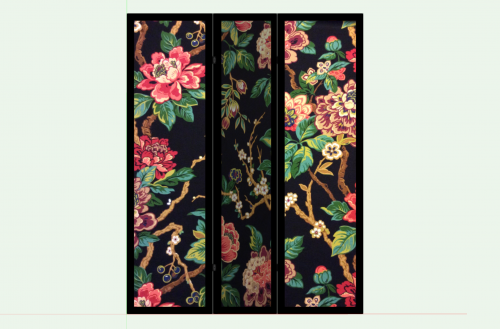 It is a simple room screen that has three panels with two hinge points. 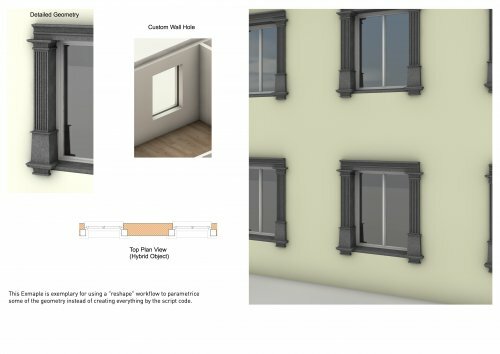 Each panel can be given an angle of anything between 0 and 90. This is a Marionette object that is a wall clock. The time of the clock can be set by sliders in the OIP. 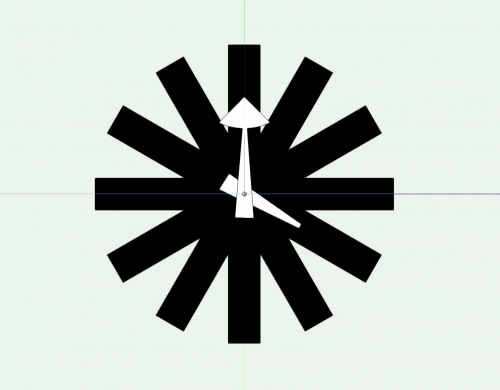 The three pieces of the clock: the face, the hour hand, and the minute hand are all symbols that can be changed. The only important aspect of the symbols is that the XZ value of the insertion point for all the symbols be at the center of rotation and the Y value be relative to the clock face. This is a Marionette Object that can be used to simulate the WA67 Aluminum Clad Wood Folding NanaWall door. 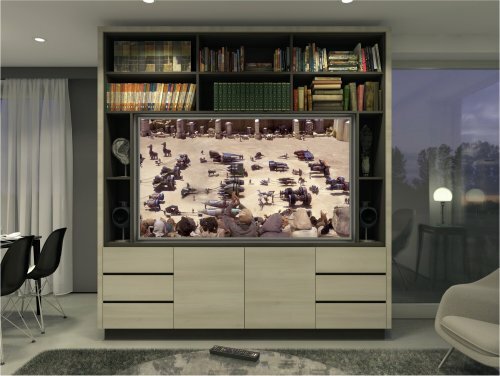 It allows you to set the panel width and height as well as the configuration and system. 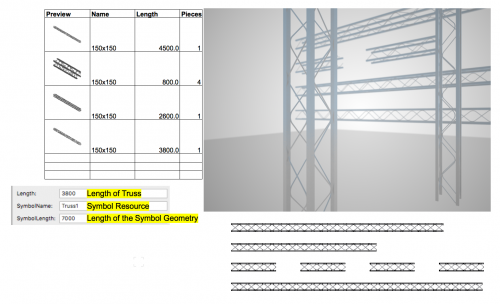 Based on these parameters, it calculates the overall frame width and height and creates a record format for the door that can be called in a worksheet. 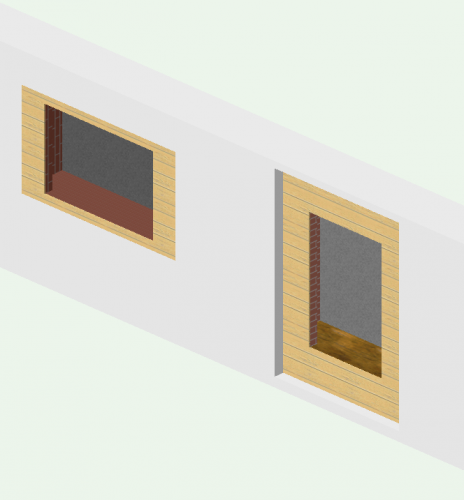 The insertion point of the door is the center left of the door, so if you choose a configuration with a different number of panels or you change the panel width, the PIO will extend or contract from the left (instead of from the center like regular door PIOs in Vectorworks). I would welcome feedback on the usefulness of this - is there something you would like it to do that it doesn't do? What does it do that you don't need it to do? As far as other types of NanaWalls (such as sliding panels), I am trying to figure out a way to script those as well. This is another Marionette object based on a symbol belonging to @barnes2000. (Thanks Scott!) He has built a bunch of cool crane and lift symbols. 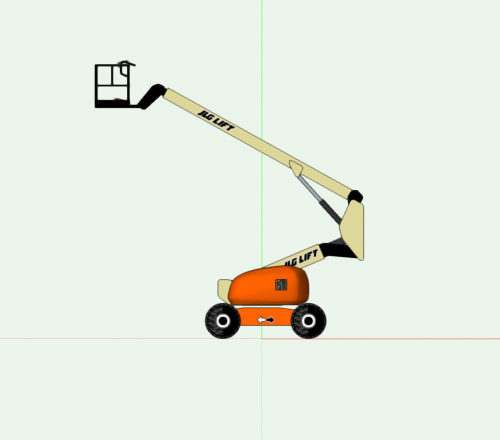 This one is an Articulating Boom Lift that has seven different rotation or extension articulations. Each has a Slider in the OIP that allows you to set its angle or extension. (See video.) This Marionette object works by placing the different parts of the Lift as symbols in the drawing at a particular insertion point and rotation based on the values of the Sliders. Each symbol has named loci that are used to locate the object in the drawing space and in relation to the other parts. The loci are on an invisible class (so don't delete the class from the drawing). The object updates pretty quickly for having so many variables. 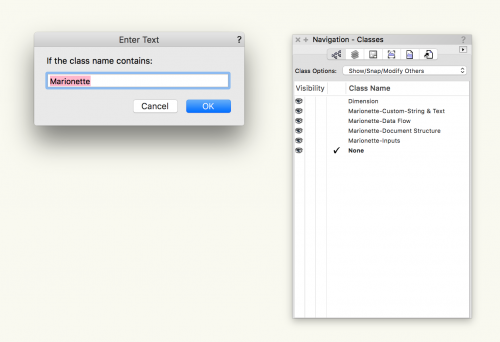 If you wish to share the object to another file, make sure that you import the entire symbol folder. 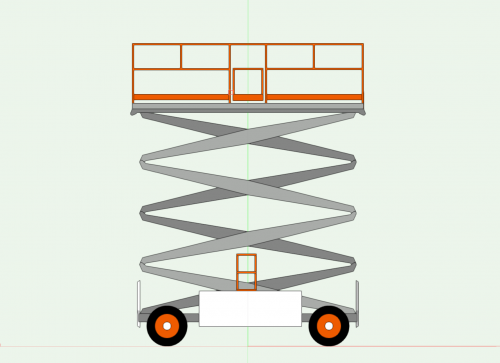 Unlike the Scissor Lift, this object is not built from hybrid symbols because hybrid symbols cannot be rotated around the x- or y-axis. If you wish to convert it to a hybrid object, you could place it inside an Auto Hybrid, but this will make it a much bigger object (memory-wise), and you would only be able to edit the object from inside the Auto Hybrid. This Marionette object is a Scissor Lift PIO. 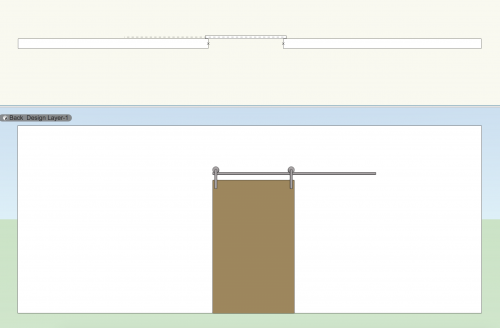 You can place the Scissor Lift in your drawing and set the height via a Slider in the OIP. (See video.) All the different parts of the Lift are different symbols, and the Marionette script places each symbol at a particular insertion point and rotation based on the value of the Slider. If you wish to share the object, make sure that you share the entire symbol folder that holds all of its accompanying parts. This object was based on a symbol created by @barnes2000. Thanks Scott for letting me play! 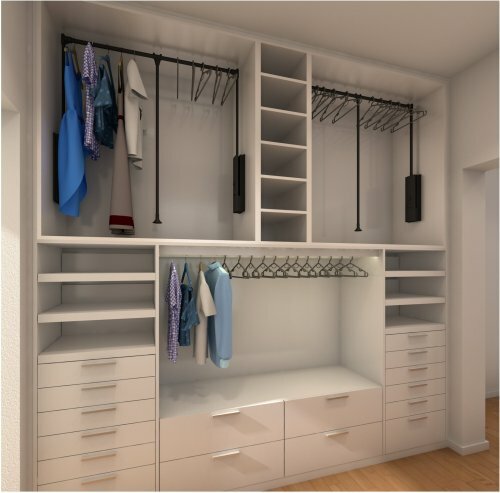 Clothes Rail is placed at correct distance from top of shelf space Choose from a variety of rail types and rails supports (HETTICH) Coat hangers can be placed (with custom spacing) - option Random rotation of coat hangers - option Random deviation from set spacing - option Random garments can be placed - option Show shelf cage - option Supports copying and pasting between documents Automatic filtering for garments that are too long for the given space "Reset on Move" is OFF Integrates with interiorcad cabinets and can be configured from within. 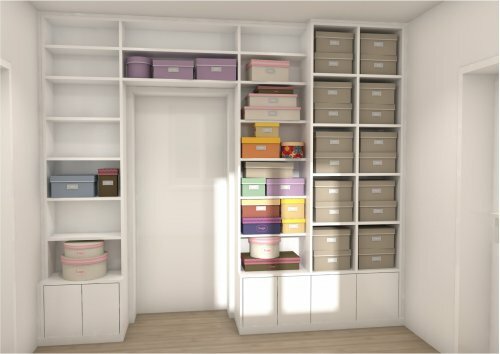 Will resize with parent box. Adjustable lidded box. 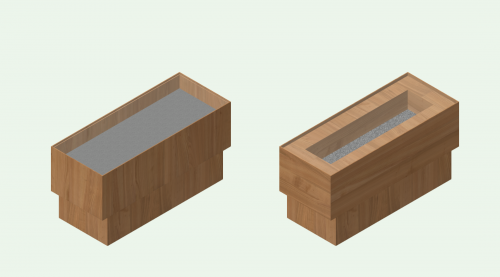 The box can be resized and the lid height and offset can be set. This object is a result of working with @TSG-Sim on a challenge where a popup was to control both the color of an object as well as text. The method behind this is to combine smaller lists into a larger list to easily distribute the values. I used a Point 2D node in this example, but you could use any other list handling that you would like. 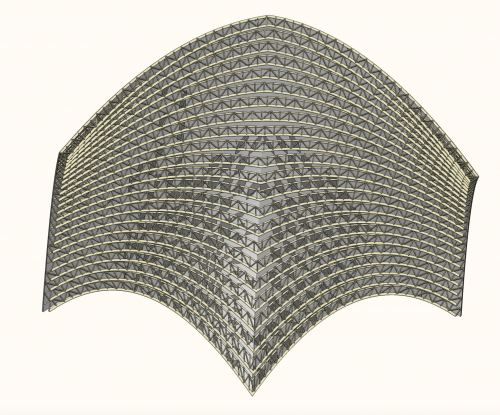 This object will create 3D polys with random peaks to display a faceted facade. 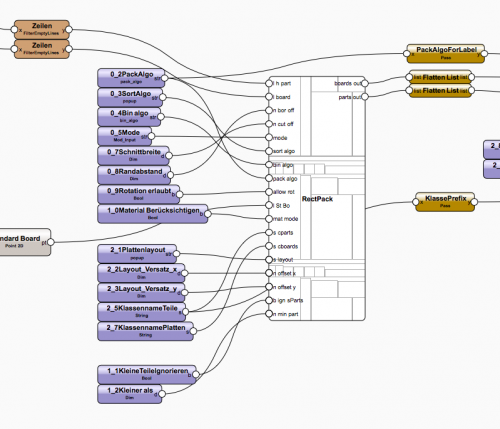 This object requires the installation of Python libraries Numpy and Scipy. If these do not already exist in [User Folder]/Python Externals, you will be prompted with a dialog to install them. Hi, been playing with old networks and noticed that this can create a mesh frame for lights. Adjust the number of rings, verticals and the sizes of all. 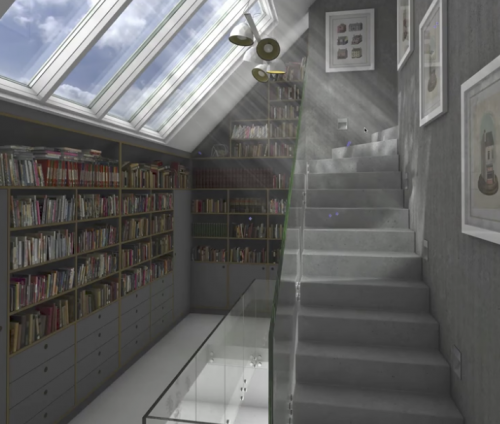 You could also leave the surface and make it a transparent material. This Example shows, hot to have a any (complex as you want) geometry with a parametric length (available by the yards). The Geometry was not modeled and parameterized in the script. But this is the advantage which this example shows. So take every geometry (import files etc) and just "cut" the length you need. Thats how this script works. It cuts away from a maximal part length (input as symbol) to the length you need. You can make an own symbol and rename the symbol input of the script. The Symbol cross-section now is limited to one meter. You can edit the script and increase this if necessary. Or look at this, with this method, you can model frame and installation plate in your script. The "fill" you can make with the method of this example script. This showcase can be inserted in walls. It works fine but ... Textures are wild animals. When you change one sometimes it changes all the others. Last the OIP is messy because ordering is not yet sufficiently secure to use, specially if you start using the object in a professional file. Be careful, this is a Marionette object RECORD often. Used to put objects with a flat cover on top. By changing the width of the wood you are able to put labels behind the glass. 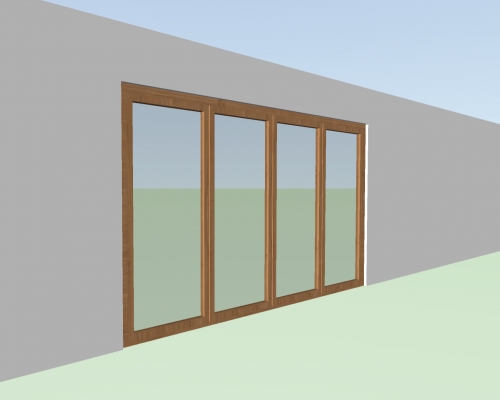 This version does not include recessed lights places bellow the wood. This object is made to simplify life of designers. You can change all the values and see the result immediately, leading to the perfect size against the shown art piece.